Return to Nagspeake with this next adventure from the bestselling author of National Book Award nominee Greenglass House. Lucy Bluecrowne and Maxwell Ault are on a mission: find the three pieces of a strange and arcane engine and stop the war raging between their home country of England and Napoleon Bonaparte's France. During their search, their ship, the famous Left-Handed Fate, is taken by the Americans. And not just any Americans. 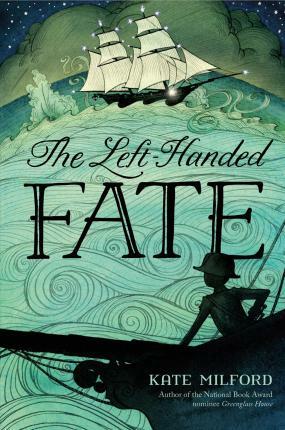 The Fate (and, with it, Lucy and Max), are put under the command of Oliver Dexter, who's only just turned twelve. Lucy and Max aren't the only ones trying to put the engine together; two other crews are in hot pursuit. Will they bring Oliver around to their cause? And who will reach their goal first?